Encore une très belle photo ; merci. ATLANTIC OCEAN - Sailors prepare aircraft for flight operations on the flight deck of the Wasp-class amphibious assault ship USS Kearsarge (LHD 3), Sept. 16, 2018. U.S. 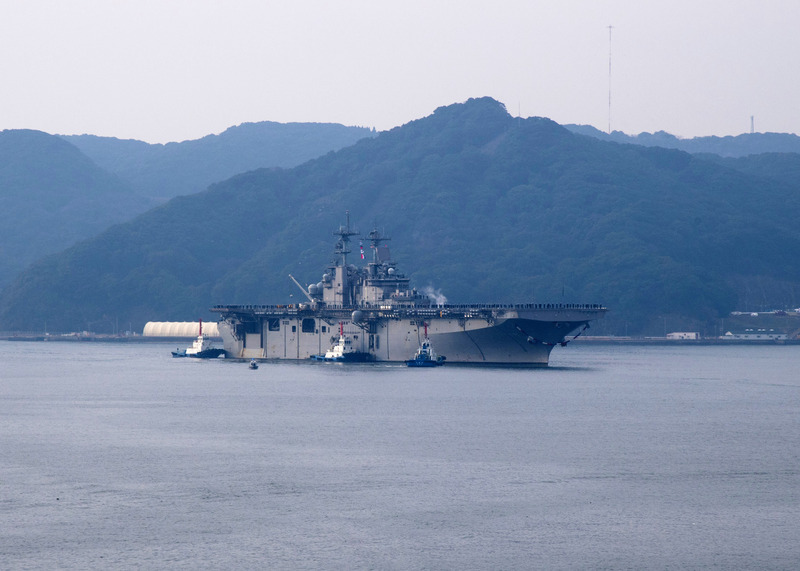 Naval Forces Northern Command deployed Kearsarge, along with elements of the 22nd Marine Expeditionary Unit and the Expeditionary Strike Group 2 command element, to be positioned to provide Defense Support to Civil Authorities from the sea in response to Hurricane Florence should support be requested. 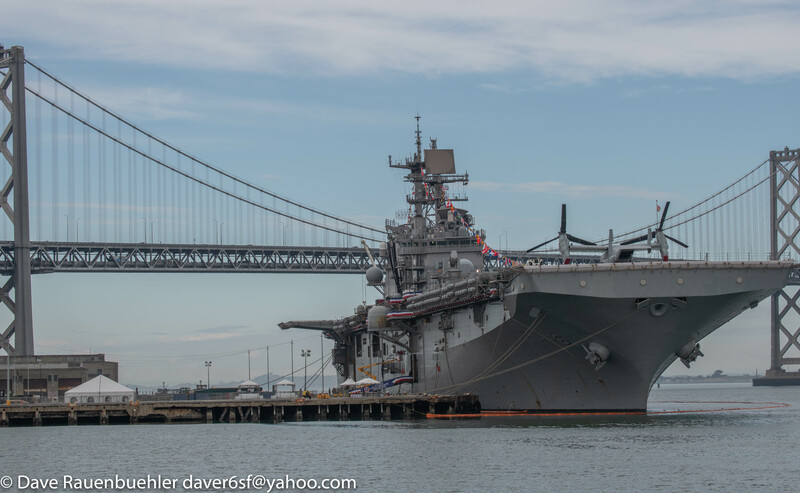 Overall view of USS America with loaded deck of F-35Bs, MV-22s, MH-60S, AH-1Z and UH-1Y. AH-1Z Viper and UH-1Y Venom helicopters belonging to Marine Medium Tiltrotor Squadron 262 (Reinforced) conduct flight operations from the flight deck of the amphibious transport dock USS Green Bay (LPD 20) in the Philippine Sea, Jan. 19, 2019. VMM-262 (Rein.) 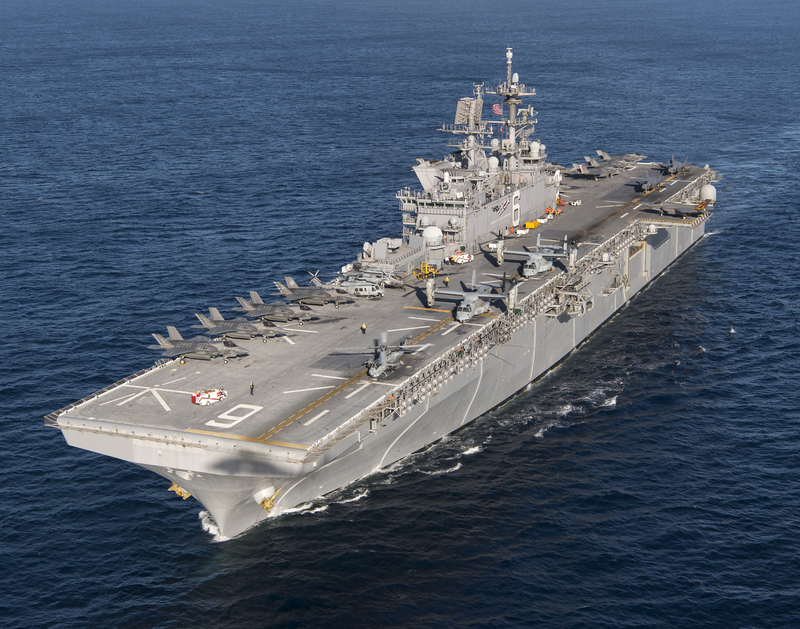 is the Aviation Combat Element for the 31st Marine Expeditionary Unit. 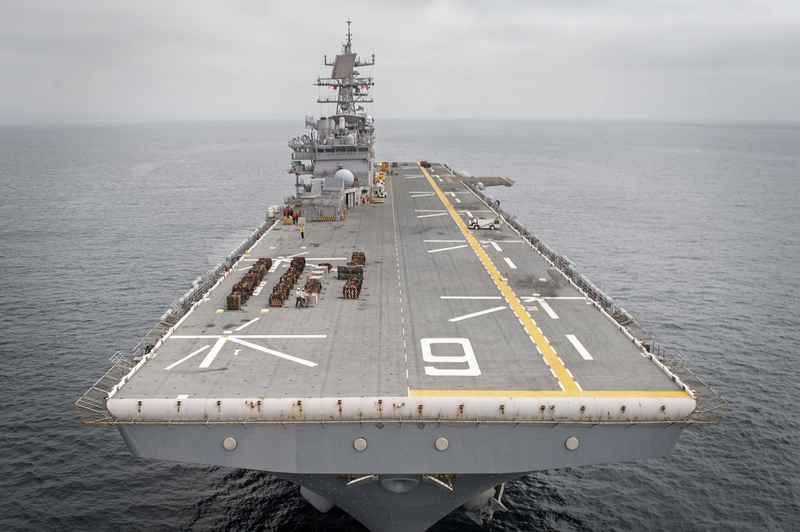 The 31st MEU, the Marine Corps’ only continuously forward-deployed MEU partnering with the Wasp Amphibious Ready Group, provides a flexible and lethal force ready to perform a wide range of military operations as the premier crisis response force in the Indo-Pacific region.